What isn't particularly believable is Obama's IRS and the White House. WASHINGTON (AP) — Facing a furor from angry Republican lawmakers, the White House said Monday that the Internal Revenue Service engaged in a good faith effort to find lost emails from an IRS official whose division processed applications for tax-exempt status by politically oriented groups. White House spokesman Josh Earnest called criticism from Republican lawmakers about the missing emails, quote, “far-fetched” and “not particularly believable.” The IRS says the emails to and from the official, Lois Lerner, disappeared when her computer crashed in 2011. The IRS acknowledged last year that agents improperly scrutinized applications by some conservative groups. Documents have shown some liberal groups were also flagged. 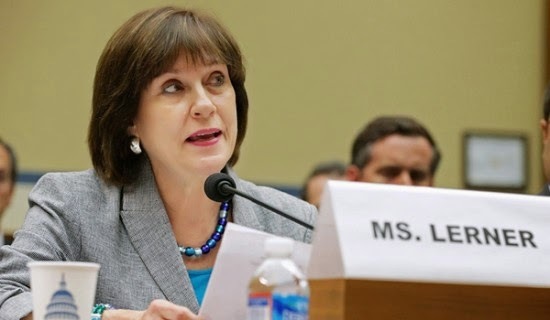 Earnest said the IRS has produced 67,000 emails to and from Lerner. He said the IRS has tried to track down missing e-mails through other sources and those that have been recovered have been provided to Congress.